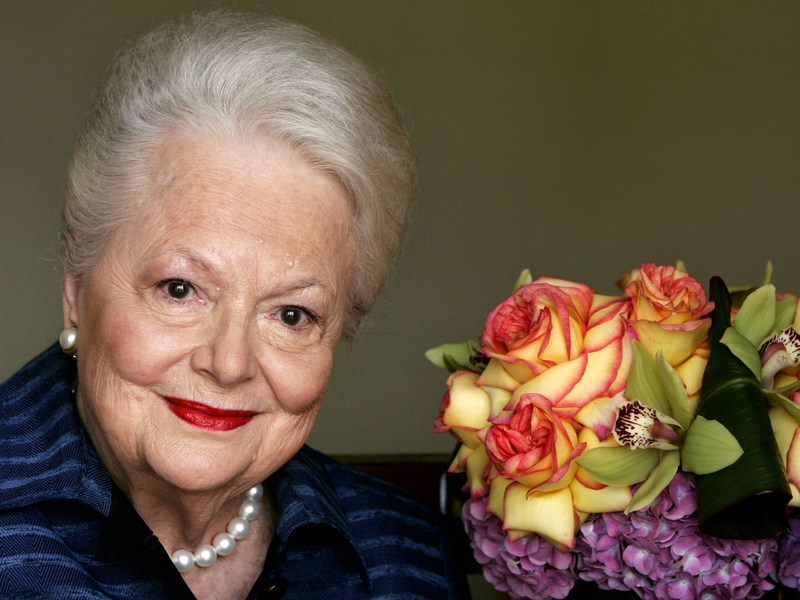 NEW YORK - In rare public remarks about her sister and fellow Oscar-winning actress, Olivia de Havilland mourned the loss of Joan Fontaine, with whom de Havilland reportedly feuded for much of their lives. De Havilland on Monday issued a statement through the DGRW Talent Agency saying she was "shocked and saddened" by the news and that she was grateful for "the many kind expressions of sympathies." Fontaine, 96, died in her sleep Sunday at her home in Carmel, Calif. The 97-year-old de Havilland, perhaps best known as Melanie in "Gone With the Wind," is a longtime resident of Paris and over the years often declined to talk about her sister. De Havilland and Fontaine are among Hollywood's most famous siblings, stars from Hollywood's studio era known for their many screen achievements and for a rivalry that at times became public, especially after they were both nominated for best actress in 1941. Fontaine won for "Suspicion," and later recalled the moment her name was announced at the Academy Awards ceremony. "All the animus we'd felt toward each other as children, the hair-pullings, the savage wrestling matches, the time Olivia fractured my collarbone, all came rushing back in kaleidoscopic imagery," she wrote in "No Bed of Roses," a memoir published in 1978. "My paralysis was total. I felt Olivia would spring across the table and grab me by the hair. I felt age 4, being confronted by my older sister. Damn it, I'd incurred her wrath again!" De Havilland went on to win two Oscars, but that apparently didn't warm her to Fontaine. After de Havilland won in 1947 for "To Each His Own," Fontaine came forward to congratulate her and was rebuffed. De Havilland's publicist said at the time: "This goes back for years and years, ever since they were children."